Before disaster strikes and a local outbreak becomes a global epidemic, how can the international community work together to minimise loss of life and economic upheaval? Viro-immunologist Dr. Pascale Ondoa thinks the answer could lie in a tool used to quantify laboratory network functionality across the globe. 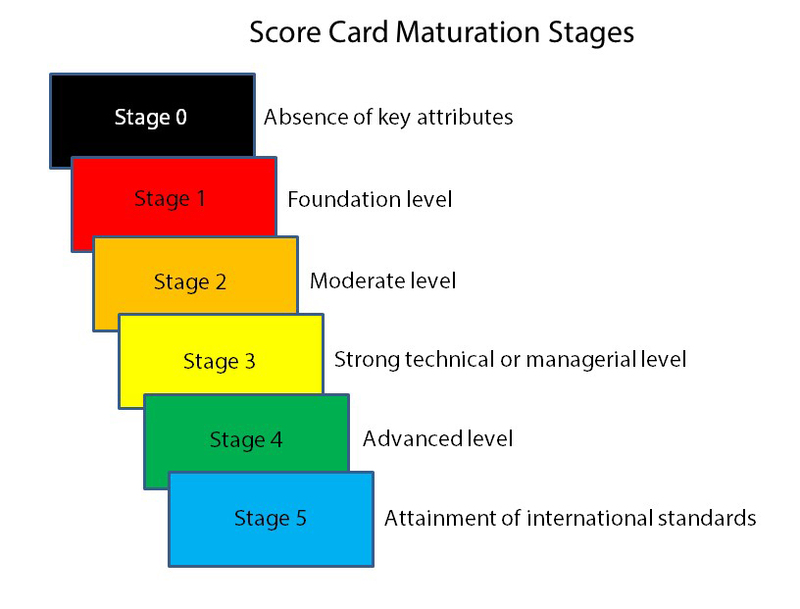 Currently in development by the Amsterdam Institute for Global Health and Development (AIGHD), the Dutch Royal Tropical Institute (KIT), and the African Society for Laboratory Medicine (ASLM), the tool would serve as a scorecard of sorts, with numerical denotations of laboratory preparedness and adherence to regulations. Based on the score a laboratory network receives upon evaluation, leadership will have a clear cut understanding of what must be improved in order to effectively respond in times of crisis. This strategy of preparedness is particularly resonant in the wake of recent emergency response shortcomings seen in the Ebola or MERS outbreaks. Dr. Ondoa lamented the failures of Ebola response, saying, “WHO and countries have recognised that compliance to international health regulations was not achieved, so many countries were ill-prepared for this type of international crisis. 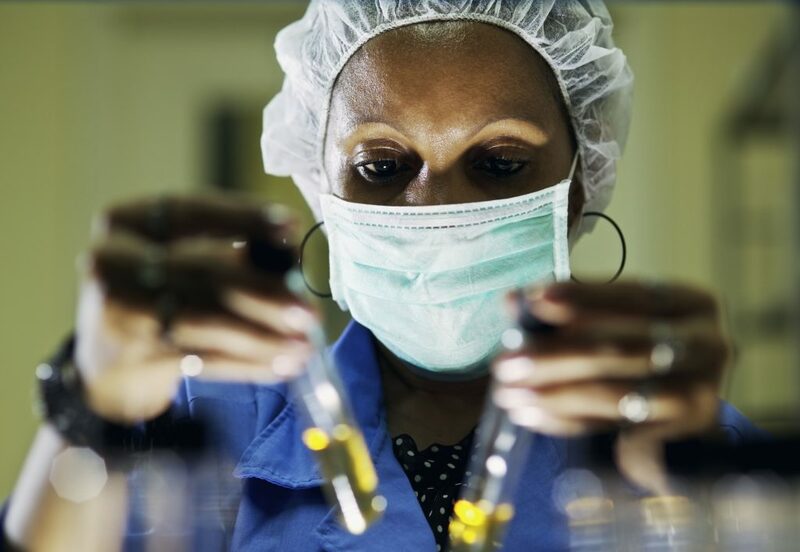 GHSA is now pushing forward a way to implement international health regulations.” The Global Health Security Agenda (GHSA), which stresses prevention, detection, and response as key actions in combating infectious disease threats, is the framework upon which the scorecard will be based, streamlining the laboratory specific regulatory guidelines from a variety of sources in a One Health approach. Rather than taking a disease-specific approach to network assessment, the proposed tool will create a uniform framework on which to base its analysis, so its application can be as broad as possible. Rather than focusing on individual laboratories, the tool will assess public health laboratories at the system level, measuring a network’s ability to effectively communicate and respond to threats by following international health regulations. By consolidating aspects of narrower, disease-specific assessments for individual laboratories, the tool will be able to quantitatively measure laboratory networks of varying capacities in any given country. Since the tool is still being finalised, some details of its implementation remain unformed. ASLM is experimenting with the idea of using its Stepwise Laboratory Quality Improvement Process Towards Accreditation (SLIPTA) assessors to administer the laboratory network scoring, since they are already trained to evaluate laboratory systems. SLIPTA is a framework to measure laboratory systems’ progress toward international accreditation in accordance with ISO 15189 standards. According to ASLM, the SLIPTA assessors might very well be the most qualified candidates to handle a tool designed to measure laboratory network functionality. The WHO Laboratory Assessment Tool (LAT) system will serve as an important basis in the development of the tool. Another source of inspiration comes from a framework developed by the US Centers for Disease Control and Prevention (CDC) to evaluate the progress of nursing and midwifery professional regulation in sub-Saharan Africa. 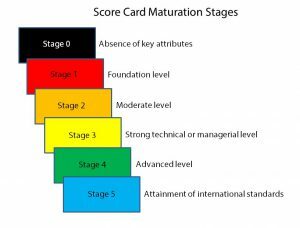 Designed as a “capability maturity model,” measuring progress through a series of steps, the framework is able to track the impact of a US Government initiative to strengthen regulations over the course of several years. Similarly, Dr. Ondoa wants the laboratory assessment tool to be administered in a series of steps, so that as a country advances a step in the framework, it is able to focus on a new set of goals before it can advance again, ultimately leading to full compliance with international health regulations. Dr. Ondoa states, “For now we are thinking of having the system in five steps of capability. That is the whole complexity, […] developing metrics that are quantitative enough to be configured into steps.” This validates the need for a score to be given to laboratory networks, so that countries can understand their progress in numerical increments as laboratory networks advance through the five steps. Dr. Ondoa estimates that within one to two years of capacity building, the tool can be used again to determine whether countries have progressed to the next stage. While many of the overarching ideas of how the tool will operate have been formulated, there is more work to be done before the tool is finalised. There must be consensus on the core capacities of the tool and the questions and related metrics that will be used to assess functionality. The US CDC has identified four distinctive global disease threats that the international community should be aware of: the emergence and spread of new microbes; globalisation of travel and trade; rise of drug resistance; and potential use of laboratories to make and release dangerous microbes. With all of these threats putting public health at risk, full adherence to GHSA regulations seems more necessary now than ever before. The growing trends of travel and trade mean that an outbreak in one country is a threat to global health, and one country alone cannot be expected to have the capacity to manage a full-blown epidemic. We must rely on international cooperation if we are to prevent, detect and respond effectively. Dr. Ondoa hopes that with the laboratory network functionality assessment tool, countries will benefit from direct clarification of the areas where their laboratory networks need improvement. If implemented effectively, the tool will advance a uniform standard of laboratory networks that all countries can realistically achieve by following the steps to full functionality.